What Will Single-Family Homes Look Like in 10 Years? Porch took a look at census data from recent years. Using all those various data points, they were able to get a clear idea of what average single-family homes look like in 2016. By analyzing trends, they’re also able to predict what single-family homes will look like in 2036. Some notable trends emerged from their analysis, and here are some of the key takeaways. The number of rooms in a home is growing. Homes with two bedrooms or fewer are on the decline, while homes with five bedrooms are rising in popularity. 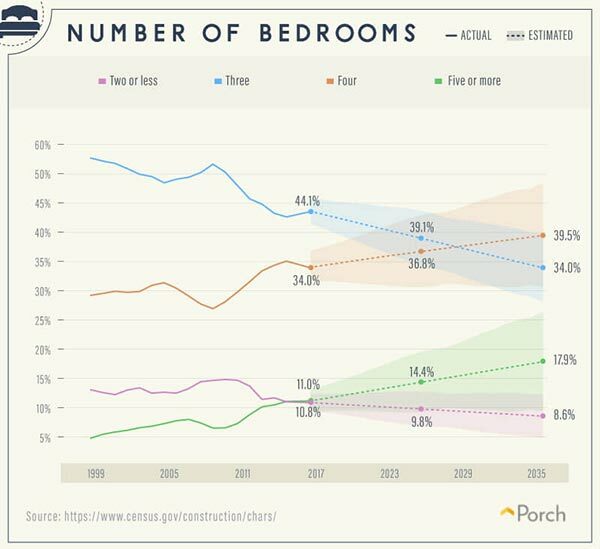 While only 4.8 percent of homes had five or more bedrooms in 1999, that number has more than doubled to 10.8 percent today. Three- and four-bedroom homes prevail. 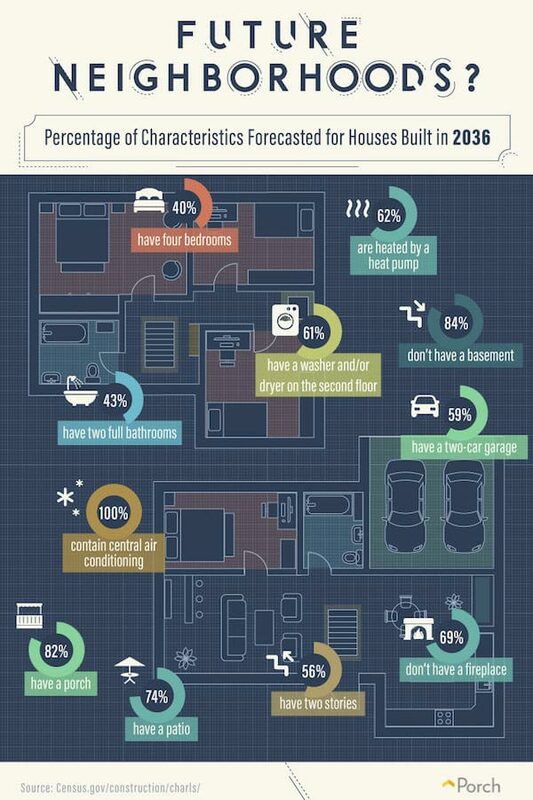 Over 75 percent of homes have three or four bedrooms, and Porch predicts that number will remain consistent into 2036. In 1999, the average home was 2,198 square feet. Today, that average has climbed to 2,559, and Porch predicts that by 2036, homes will average 2,985 square feet. Lovers of open space, rejoice! Interestingly, though, we’re seeing the opposite trend in lot sizes. While lots used to come in at an average of over 36,000 square feet, they’ve shrunk to just shy of 31,000 square feet in 2016. Based on census data, Porch expects us to see further decline in lot size to just over 25,000 square feet in 2036. Porch’s report revealed that the number of homes with just one bathroom is on a serious decline. Nearly 8 percent of homes had just one bathroom in 1999. Today, we’re down to 4.4 percent. Porch expects the trend to continue so that by 2036, less than 1 percent of homes will have just a single bathroom. In fact, two-bathroom homes are also on the decline. 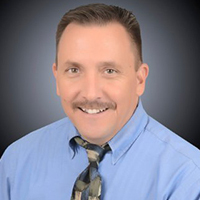 While they dominated 72.6 percent of homes in 1999, they’re down to 58.7 percent today. Meanwhile, the number of three- and four-bath homes is growing. 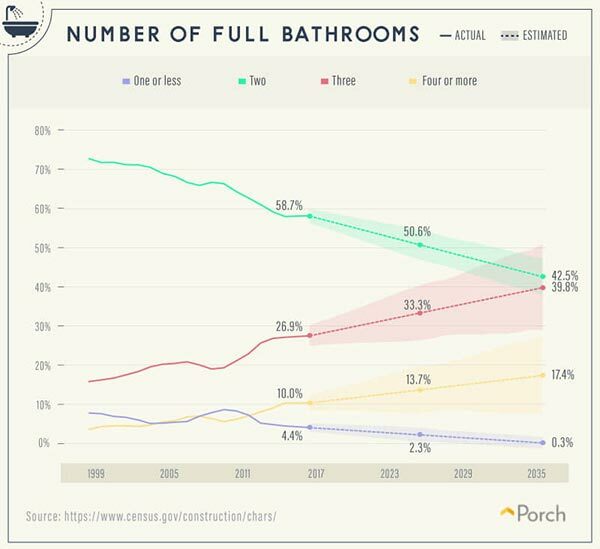 By 2036, Porch predicts that over half of homes will have three or more bathrooms. Fewer and fewer homes contain fireplaces. Today, only 52 percent of homes have fireplaces in them. Based on past data, though, Porch predicts that number will be down to 31.5 percent by 2036. The tradeoff for fireplaces is other home perks. Patios and porches are on the rise, and Porch says that over 86 percent of homes will have a two- or three-car garage by 2036. They also predict that 100 percent of properties will have central air.